Children who lose a parent are less likely to talk about their feelings, according to findings from the Millennium Cohort Study (MCS). Bereaved children tend to keep their fears and feelings to themselves, perhaps posing risks to their emotional health. The Childhood Bereavement Network, a charity based at the National Children’s Bureau, is reminding families, friends and those working with children that it’s vital to listen to children. The charity analysed information from 13,469 11-year-olds born across the UK in 2000-2001 who are taking part in MCS. They found that more than 1 in 4 bereaved children said they would keep their worries to themselves, compared to 1 in 5 children whose parents were still alive. A fifth said they definitely did not show their emotions to others, compared to a tenth of those who had not been bereaved. Bereaved children were also less likely to talk to someone at home about their anxieties (60 per cent compared to 72 per cent) or share problems with a friend (28 per cent compared with 40 per cent). 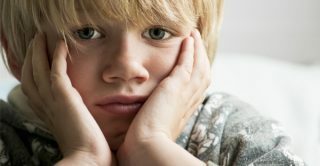 The study was launched to coincide with UK Children’s Grief Awareness Week, promoted by charities concerned with the effects of bereavement on children. The Childhood Bereavement Network estimates that one in 29 school age children in the UK have lost a parent or sibling and 24,000 parents die each year leaving dependent children. ‘Bereaved children less likely to talk about their worries’ was published by the National Children’s Bureau in November 2016.